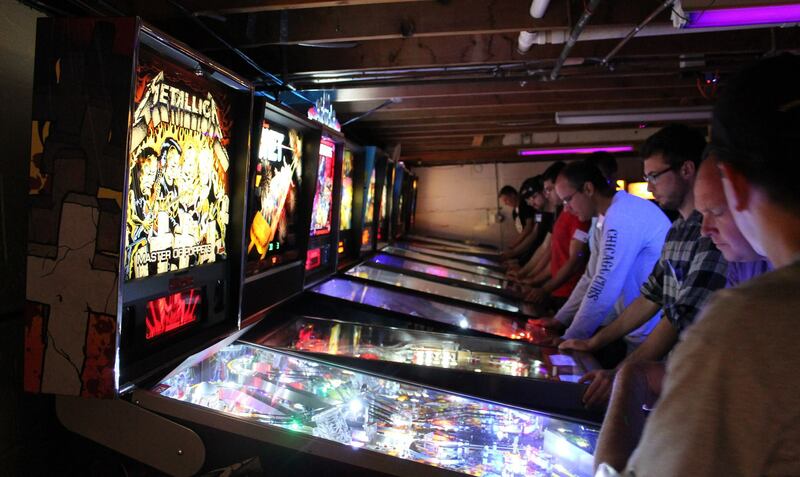 New pinball league at Misuta Chow’s! How it works: Intended to be a casual league, just show up any time between 6-10 p.m. to play the three games selected for that month. Overall standings will be tabulated after each meetup and used to determine final playoff seedings (best three months out of four). To encourage new players to come out and give pinball a try, there will be a random award (Miusta Chow’s ‘swag’/bar tab) given away. All rules and other pertinent information (standings, rules, etc.) about the league are available on the new Misuta Chow’s League page. 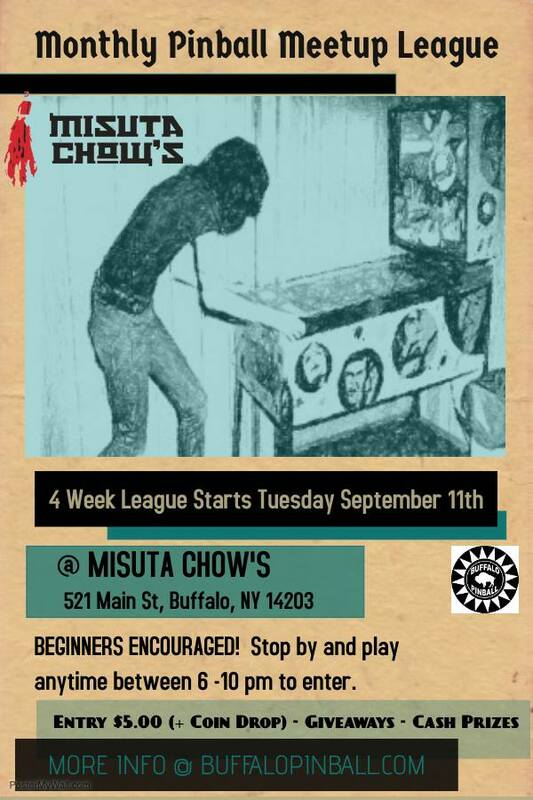 This entry was posted in League and tagged buffalo, League, misuta chow's, pinball on September 10, 2018 by k3v2. Selfie League moves to McKinley Mall for June! We’re showing some support to another location that has recently cropped up with a nice group of games by taking our Selfie League to World Hollywood Entertainment in the McKinley Mall for the month of June. Monday-Saturday, 10 a.m. to 9 p.m.
World Hollywood Entertainment has generously donated gift certificates of $30, $20 and $10 to their store as prizes for the month! This entry was posted in League and tagged buffalo, League, pinball, selfie league on May 31, 2016 by k3v2. 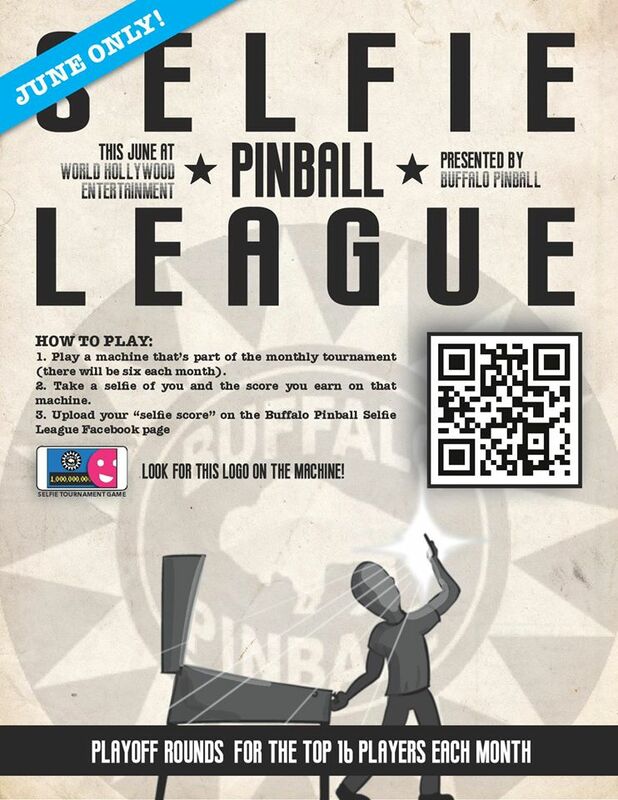 Interested in learning more about the Buffalo Pinball league? Our next league night will take place March 8 and is open to anyone who would like to see what it’s all about–and meet other collectors and enthusiasts from the Western New York area. You will go head-to-head against the other guests using the same play format we use in the league every month. If interested, please email Bruce for details and the address. Practice begins at 5 p.m. and play will begin promptly at 6 p.m.
For the league members it is the second to last league night for the inaugural 2013-14 season. 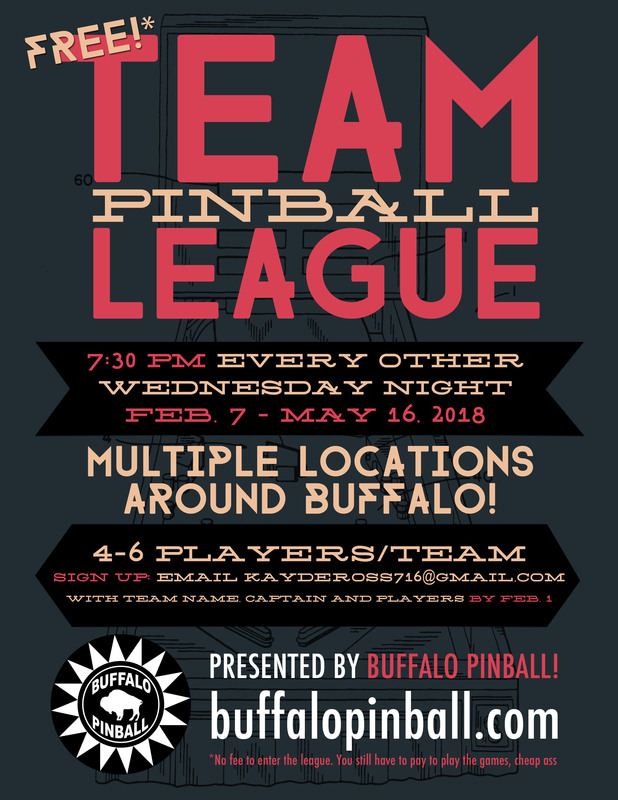 You are encouraged to bring someone along who likes pinball and might be interested in joining the BPL. This entry was posted in League and tagged League on February 18, 2014 by k3v2.